Sequoia is the second in a tryptich of EPs, conceived by Drunken Barn Dance. Adopting the most hushed DBD tone to date - plying folk musings influenced by stints in tiny NYC apartments, playing nylon-stringed beater guitars. 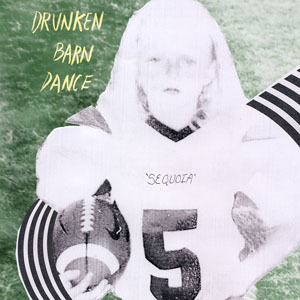 Sequoia is a wonderful progression from the bands previous works, that have inspired press and twitter fans alike to suggest that DBD founder Scott Sellwood (Saturday Looks Good To Me, David Dondero) is the Michigan scene's poet laureate. Strong words, but well deserved.